Curriculum Associates has recently launched an online portal that offers more than 600 resources to help teachers implement its Ready Mathematics program. The new Ready Central hub supplies training videos, implementation tips, planning tools, best practices examples and more resources that support a blended core learning program. 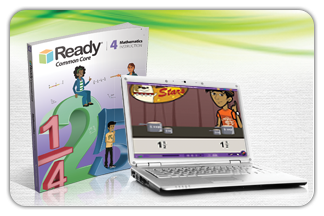 The Ready Mathematics program addresses the Common Core’s focus on conceptual understanding and procedural fluency. It emphasizes mathematical reasoning, modeling and the structure of mathematics, according to the program brochure. Additionally, Ready Teacher Support extends support to teachers, with lesson-specific pacing guides and embedded best-practice teaching tips in every lesson, including English language learner (ELL) support, error alerts, conceptual extensions and vocabulary strategies. Now available on the portal is “100 Questions that Promote Mathematical Discourse,” a resource that helps promote mathematical thinking and discourse in the classroom. There are also tips and strategies available for how to use i-Ready, a K–12 adaptive diagnostic for mathematics and reading that can be used in conjunction with the Ready Mathematics program. Current Ready users can use the portal now on the Ready Central site.